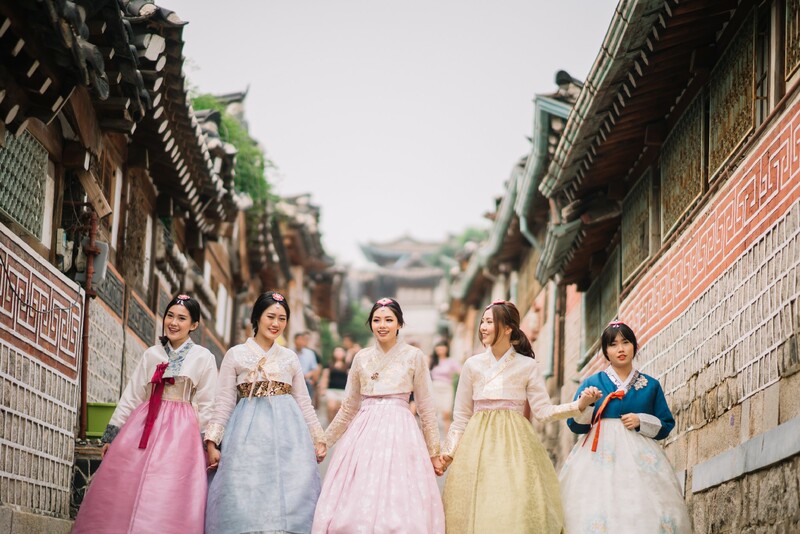 If you have been following my journey for a while, it is not a news that I went to Korea for my bachelorette trip last year. 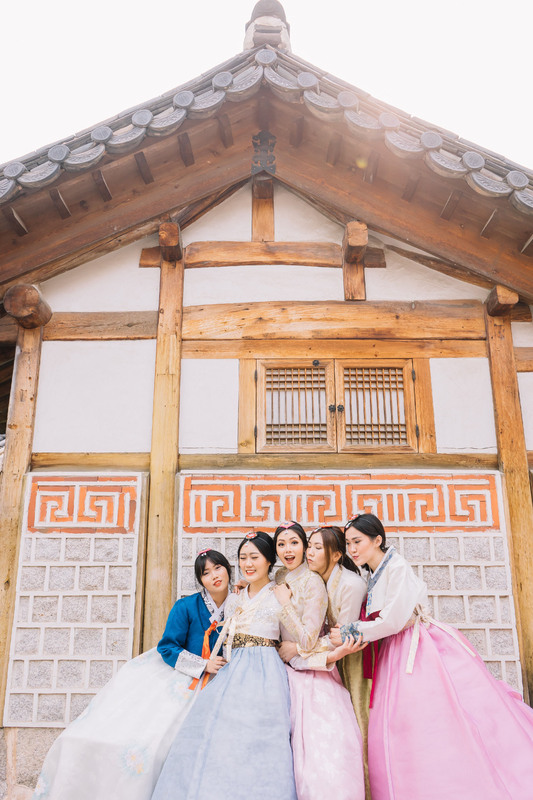 We did tons of fun things there, and one of them was hanbok photoshoot. 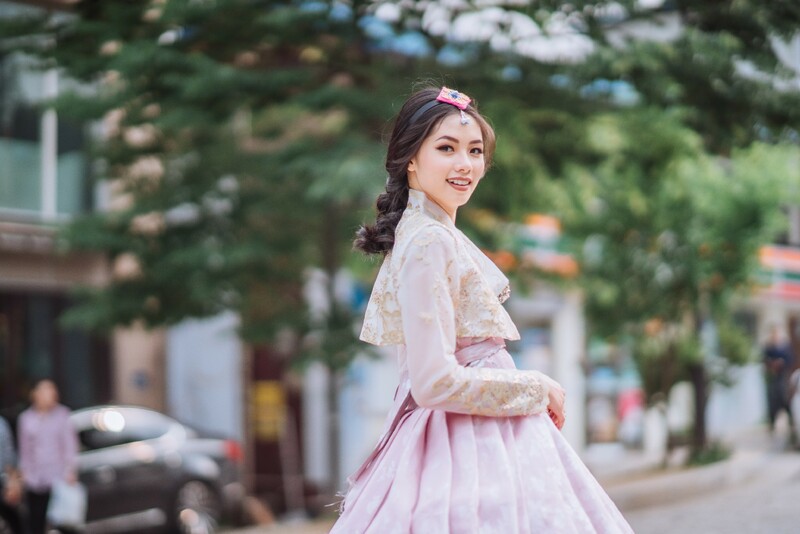 I posted our photos in my Instagram and got a lot of feedbacks asking me the technical details of the photoshoot. 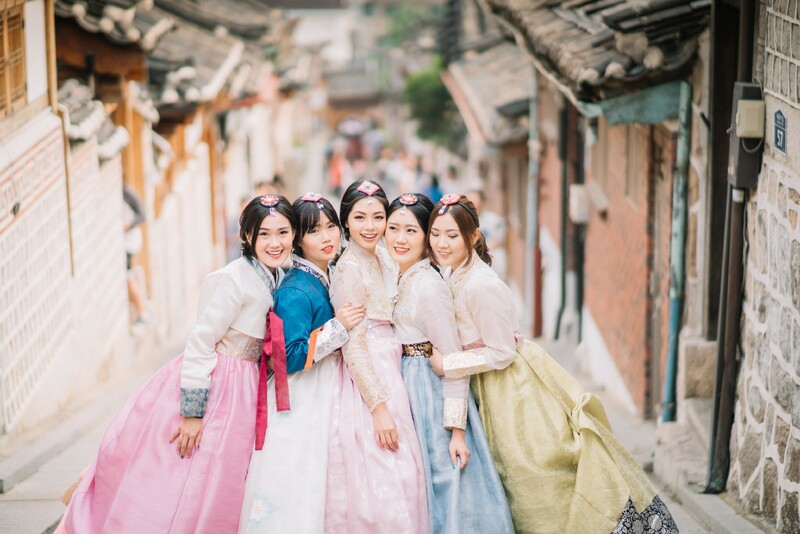 Especially for those of you who are planning your trip to Seoul, Korea this year, I am sharing my guide for hanbok photoshoot. 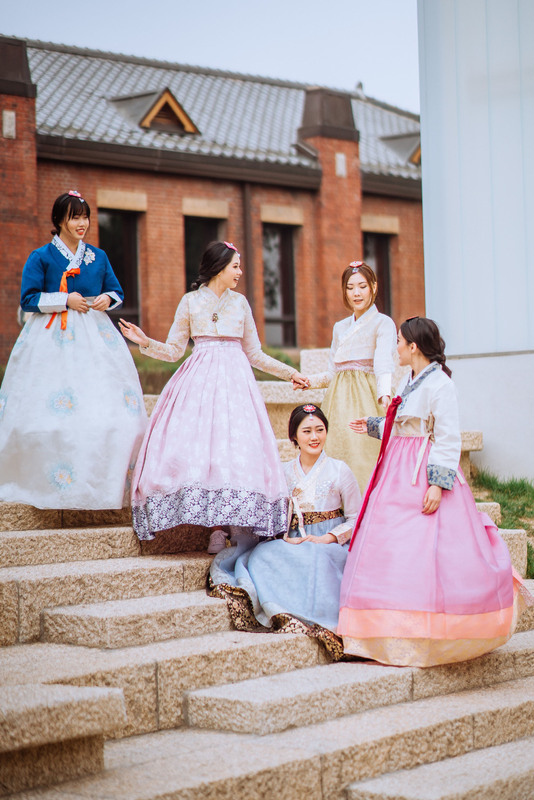 WHERE CAN I GET PRETTY HANBOK? 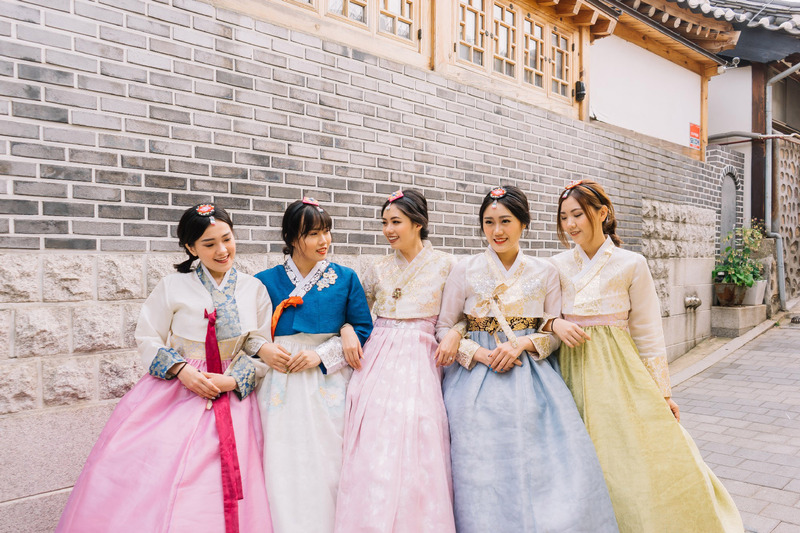 There might be a lot of places that offer pretty hanboks. 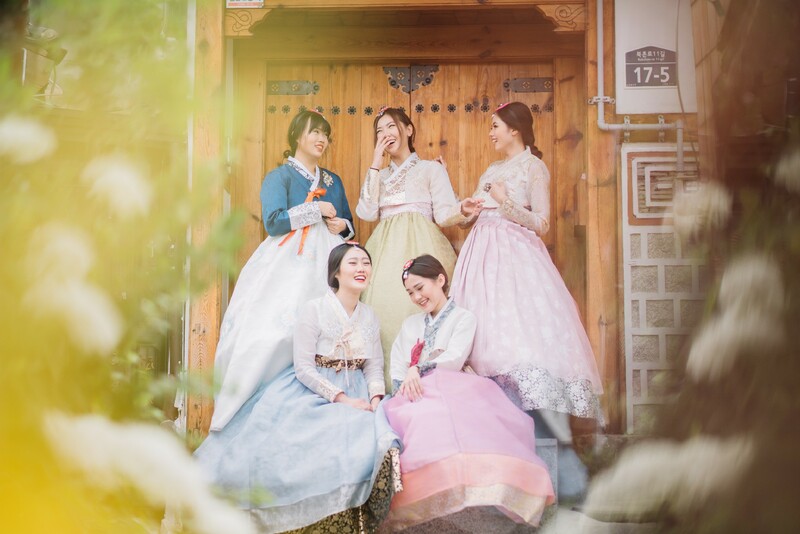 For our particular photoshoot, we chose @hanboknam_korea (check their Instagram and website for the exact location). They were recommended by our photographer from Sweet Escape. 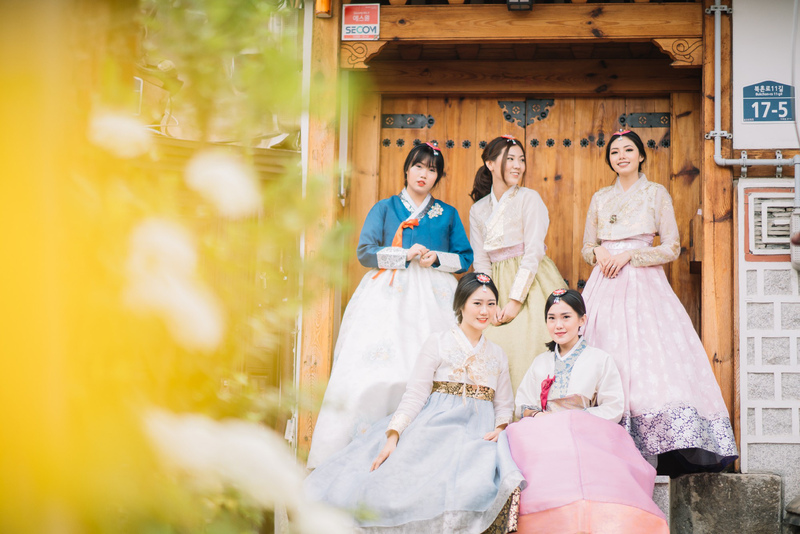 DO YOU RENT OR BUY THE HANBOK? The moment we got there, on the first floor was the locker section to put our stuffs. 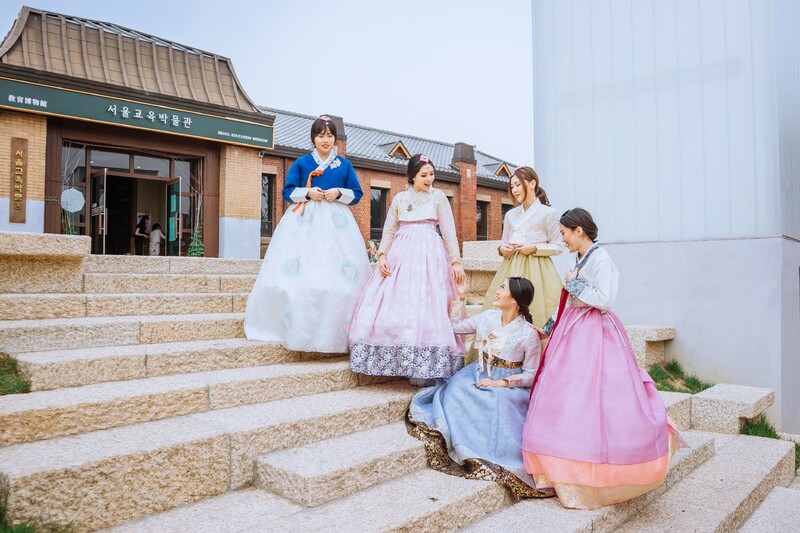 And then, on the second floor was the hanbok selection area. 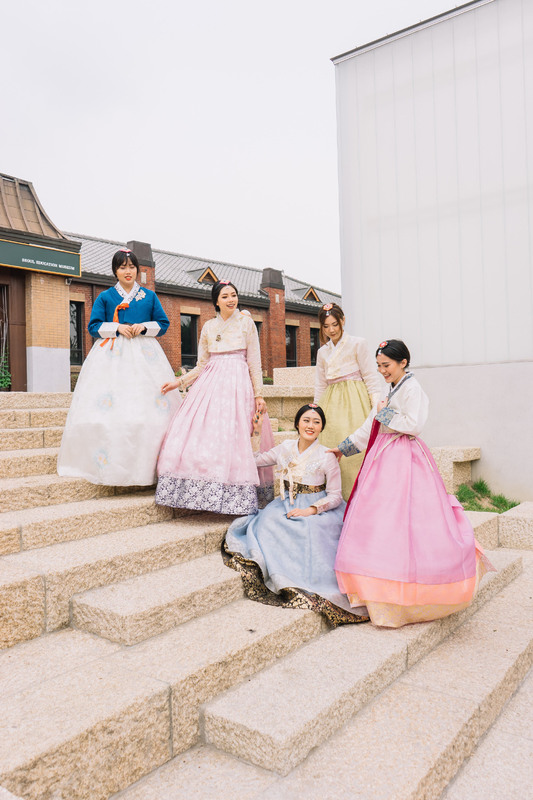 In the first room, we chose the top hanbok before we moved to the second room to choose the skirt. 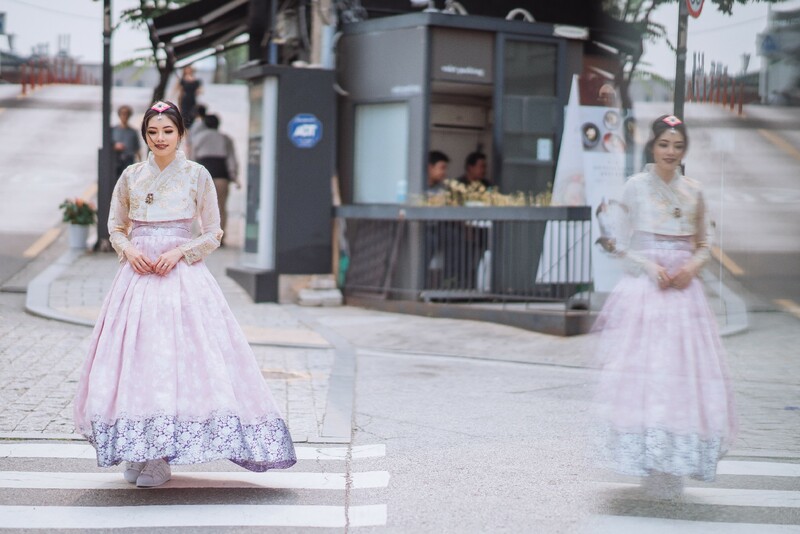 There were so many choices of pretty hanbok! Fortunately, we were allowed to choose 3 sets of top and skirts. 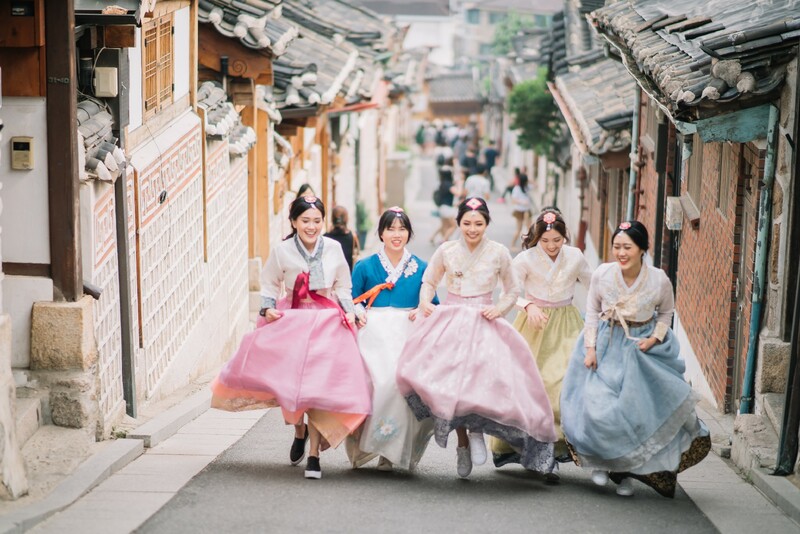 After finalising our hanbok choices, there was another area for hairdo (and there were hairdressers there). If you want hair accessories, there will be additional charge. 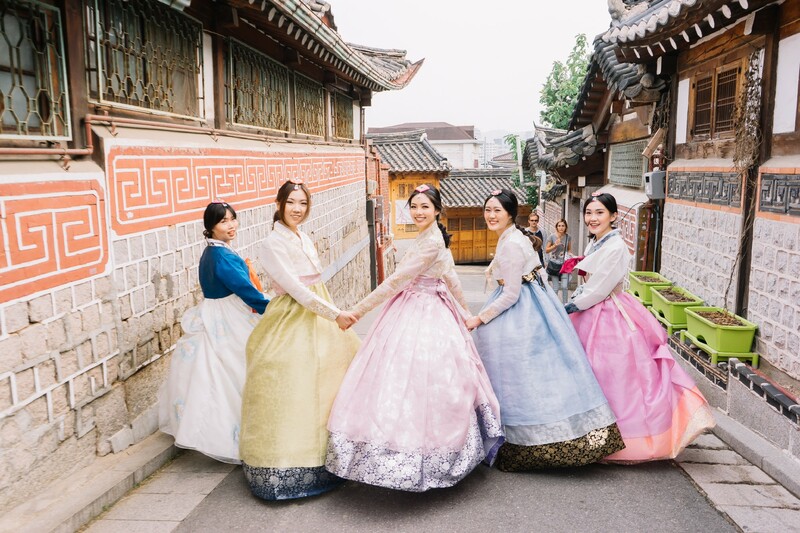 DOES RENTING THE HANBOK INCLUDE PHOTOSHOOT SESSION? Nope. 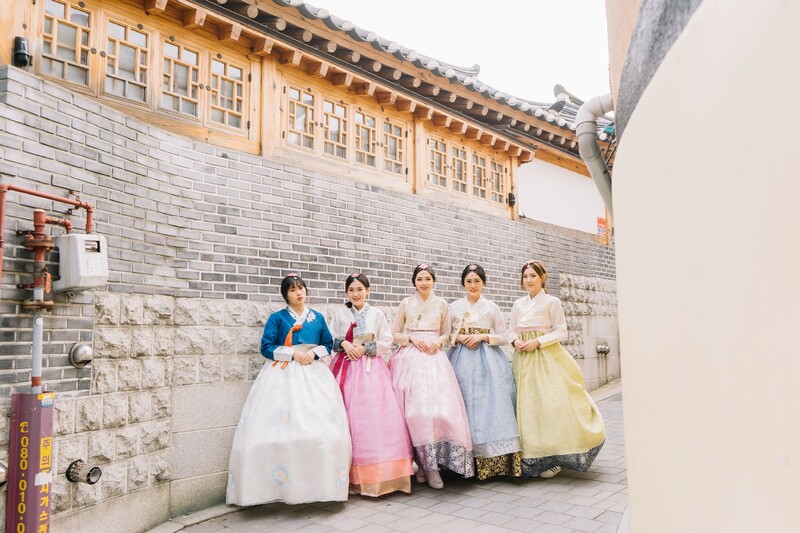 Renting the hanbok was one thing; while for the photographers, we collaborated with Sweet Escape. They were very nice and they actually made the photo sessions super fun and enjoyable. WERE THERE LIMITED AREA TO TAKE PHOTOS? Well, no. 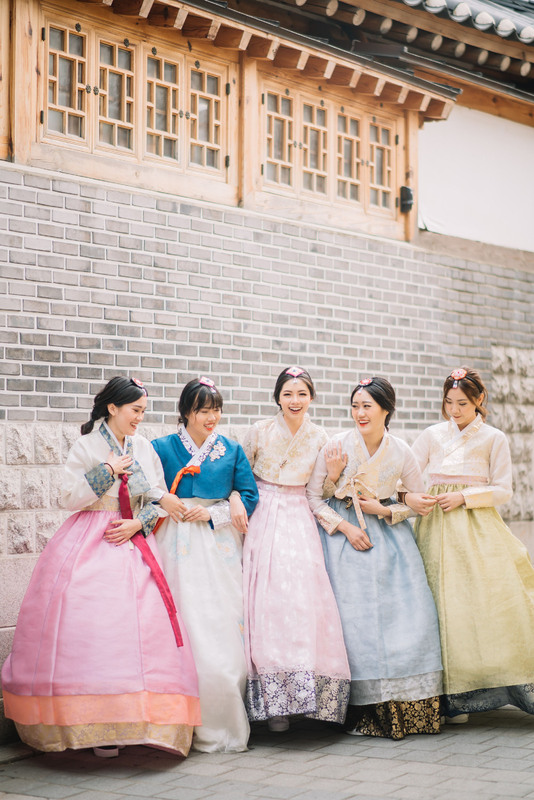 You are allowed to bring the hanbok anywhere you like, as long as you take it back within the renting period. 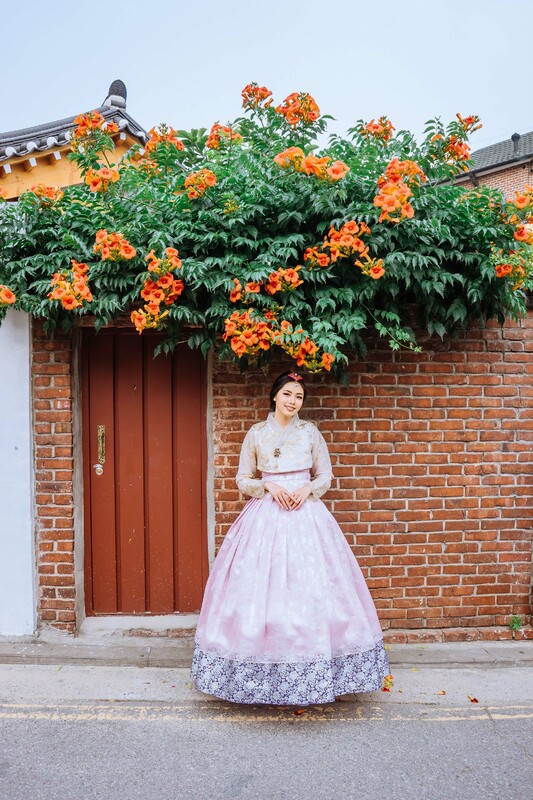 But, the hanbok place I mentioned earlier is located in a traditional location called Bukchon Hanok Village (5 minutes walking from the hanbok place); so normally you will have the photo sessions within the area. But still, there is no formal restriction. 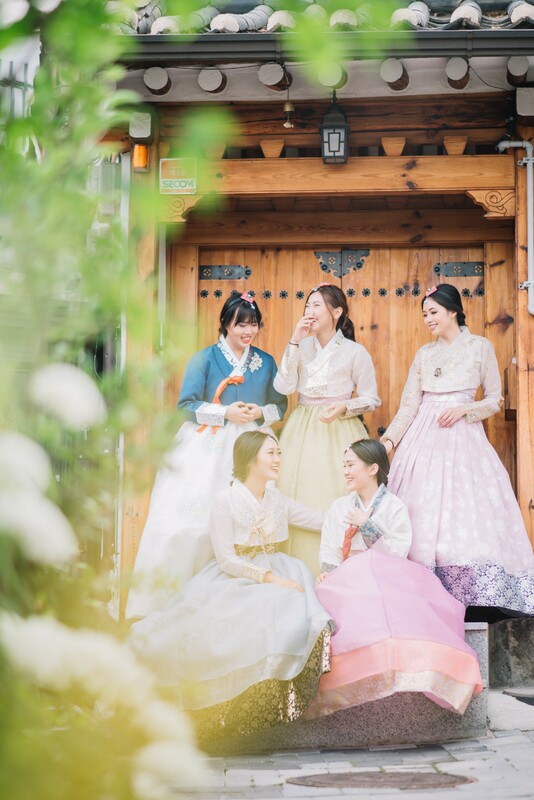 Renting hanbok and having a photoshoot with your squad or family should be in your to-do list in Seoul. So let me know if you have further questions. Drop them in comment box below and I will answer them as soon as I can. Have fun! Hi Regina, you can speak English with them. 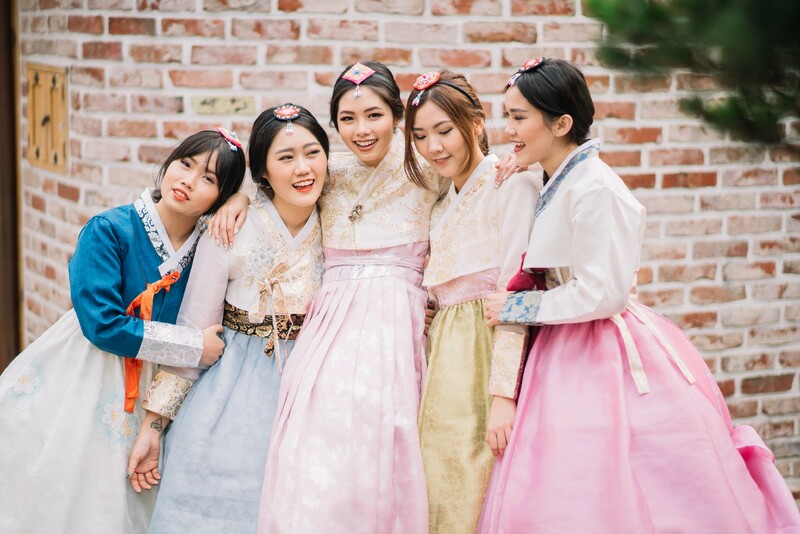 Hi Olivia, do I have to make a booking in advance for the hanbok rental and is that done online? Their website seems to be mostly in Korean though. Also, what was the duration of your photo shoot with Sweet Escape and how much did it cost? Thanks so much and loveee your photos!! Hi Olivia, do we have to book in advance? The website seems to be all in Korean.. how can I book in advance? Thanks so much! Hi Phylia, I don’t think you have to book it in advance. Hi! Did you do the photo shoot during Winter? Hi Olivia! I love your post! So informative and the pictures are lovely! I was wondering who did your hair and makeup? And how much did it cost? Love the photos! I want to book a session with them but do they offer makeup/hair service? Did you do your own makeup for this photoshoot? Would really appreciate your answers. Thank you! Hi! Your photos are so cute! How much was the photo package with Sweet Escape? And how long was the photo session?